The largest and most important mine in the Salisbury District. 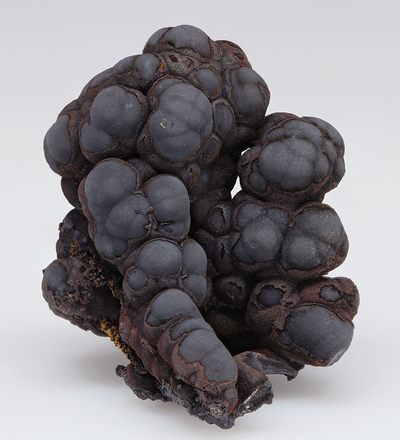 While specimens of goethite are often just labeled "Salisbury" and could be from any of the district's mines, they are most likely from the Salisbury mine because it operated into the early 20th century, and the dumps were accessible for decades afterward. According to Hiller (1967), in the 1960s the area was owned by Calvin Flint, who would show collectors the best areas, which were on the west side of the now flooded pit (Ore Hill Pond). 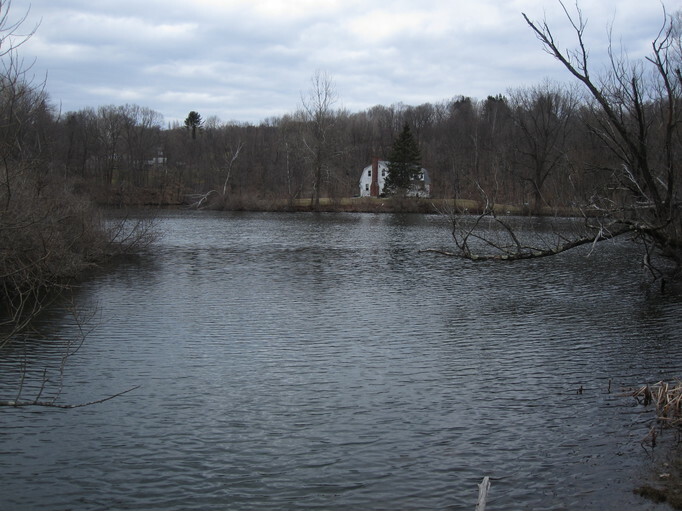 The pond is now surrounded by residential development. Goethite iron ore was discovered on Old Hill (later Ore Hill) in 1732, production was sporadic until 1884, then worked heavily until 1904, with 200 miners pulling out 5,000 tons per year. 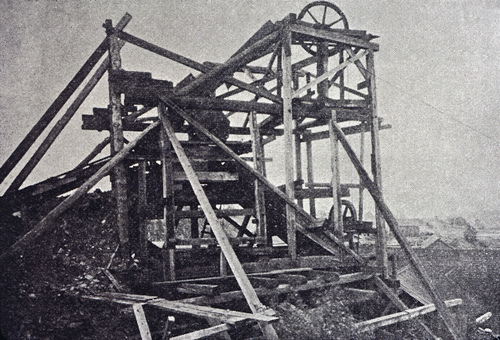 It was the last goethite mine to close in 1923. This mine became the most important of the several goethite mines in the state, which exploited a metamorphosed lateritic soil horizon that formed on an unconformity between the Cambro-Ordovician Stockbridge Marble and the overlying Ordovician Walloomsac Schist. 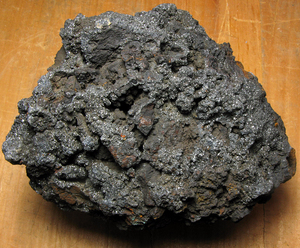 The ore was typically referred to in contemporary literature as "brown hematite", "brown oxide of iron" or "limonite", none of which is strictly correct. In this area the ore body is 65 feet thick and 0.75 miles long and dips 45 north. Mostly mined as an open pit, but there were inclined shafts down to 800 feet with extensive underground workings. 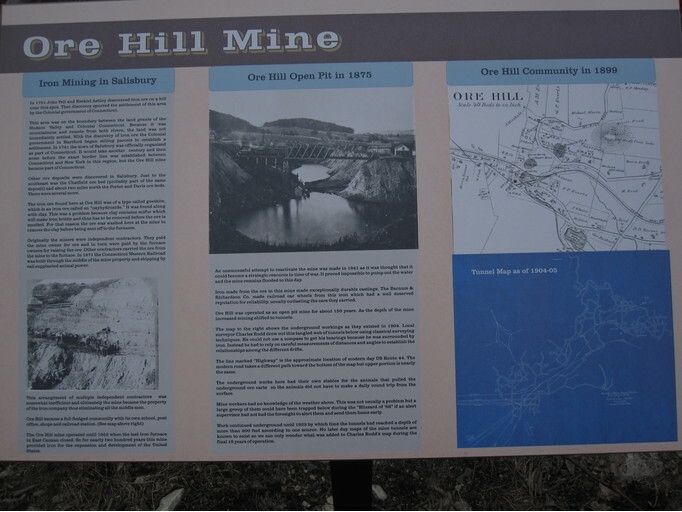 The "Ore Hill" mines are at present entirely below ground, and are operated by the "caving" method. The older works at the locality, which were formerly known as the “Brook” pit, are a little to the north of the main incline, and, like most of the other mines of the Salisbury district, were operated from the surface by “open“ methods. In the present workings the ore body is largely enclosed in Berkshire or Hudson [Walloomsac] schist, though a narrow layer of dolomite forms the greater part of the hanging wall. 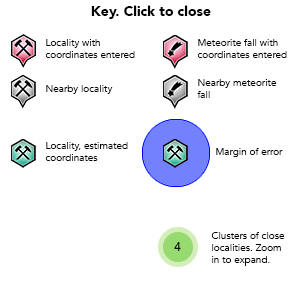 The dip of the rock is to the southeast at angles near 25°, and is subject to sudden changes. The incline descends along the foot wall at an angle of about 25°, but meets abrupt upward projections of this wall, which seem to recur at regular intervals approximating forty or fifty feet. About 170 feet vertically below the entrance to the incline, and about thirty feet above the lowest level, this foot wall comes up in a nearly vertical plane so as to cut off the ore. The foot wall wherever examined was found to be graphitic schist like that of the Berkshire formation in the vicinity, and the ore appears to be largely a replacement of this rock, in which are found irregular block-like masses of so-called "white horse." The “white horse” somewhat resembles the dolomite, but has soapy feel and contains 50 per cent or more of ferric oxide. It appears to be a mixture of iron carbonate and talc, and elsewhere in the Salisbury district it has been mined for the iron which it contains. At the surface it weathers to a brown color owing to the hydration of the iron oxide. The interruptions in the foot wall above described appear to be due to faults, along which the throw has been in most cases only a few feet. The hanging wall, which is exposed in the lowest level for a considerable distance, is a hard dolomitic marble, but in some places this is a garnetiferous and staurolitic schist. The peculiar relations at this mine are explained by interstratification of the dolomite and schist near their junction combined with normal faulting. 6 valid minerals. 4 erroneous literature entries. Description: The reference cited is discussing this mineral in context with its occurrence at the Scovill mine of the Salisbury iron ore district, not specifically regarding the Ore Hill, Salisbury mine. Reference: Januzzi, Ronald E. and David Seaman. (1976), Mineral Localities of Connecticut and Southeastern New York State and Pegmatite Minerals of the World. Taylor Assoc./Mineralogical Press, Danbury: 229. Description: Often misclassified as limonite, or "brown hematite" in older literature. Most material is massive dull earthy ore, best specimens have stalactitic to botryoidal forms with a highly lustrous, black surface. Reference: Hobbs, William Herbert. (1907), The Iron Ores of the Salisbury District of Connecticut, New York and Massachusetts. Economic Geology: 2: 153-181.; Januzzi, Ronald E. and David Seaman. (1976), Mineral Localities of Connecticut and Southeastern New York State and Pegmatite Minerals of the World. Taylor Assoc./Mineralogical Press, Danbury. Description: The ore is goethite, but most old literature calls it "hematite", "brown hematite", "turgite", etc., yet all specimens have a brown streak not a red streak. 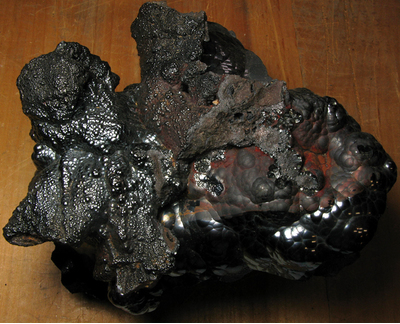 Habit: massive, botryoidal or as lustrous tabular crystals to 3mm in pockets in goethite. Description: According to Schairer (1931): "Occurs crystallized (probably pseudomorphous) at Salisbury and Kent, also as aggregates of coarse columnar grains or needles or as coatings on limonite. The quality of the iron produced at the iron mines of northwestern Connecticut was due to the presence of this mineral in the ore."
Reference: Schairer, J. F. (1931), The Minerals of Connecticut. State Geological and Natural History Survey Bulletin 51. Former Miller collection. Description: According to Hobbs (1901): "...irregular block-like masses of so-called 'white horse.' The 'white horse' somewhat resembles the dolomite, but has soapy feel and contains 50 per cent or more of ferric oxide. It appears to be a mixture of iron carbonate and talc, and elsewhere in the Salisbury district it has been mined for the iron which it contains. At the surface it weathers to a brown color owing to the hydration of the iron oxide." Reference: Hobbs, William Herbert. (1907), The Iron Ores of the Salisbury District of Connecticut, New York and Massachusetts. Economic Geology: 2: 153-181. Description: Black to dark-or silvery-gray, rarely layered schist or phyllite, composed of quartz, albite, and commonly garnet and staurolite or sillimanite (locally strongly retrograded to chlorite and muscovite). Locally feldspathic or calcareous near the base. Shepard, Charles U. (1837), A Report on the Geological Survey of Connecticut. Hamlem, New Haven. Holley. (1877), Notes on the Salisbury Iron Mines and Works. T. A. I. M. E.: 6: 220. Hobbs, William Herbert. (1907), The Iron Ores of the Salisbury District of Connecticut, New York and Massachusetts. Economic Geology: 2: 153-181. Elwell, Wilbur J. (1936), Mineral Collecting by Hydroplane. Rocks and Minerals: 11(6): 92-3. Januzzi, Ronald E. (1976), Mineral Localities of Connecticut and Southeastern New York State. Taylor Associates Mineralogical Press, Danbury. Skehan, James W. (2008), Roadside Geology of Connecticut and Rhode Island. Mountain Press, Missuola, Montana: 252.